There are patches on the market for just about everything including weight loss. The manufacturers tell you to stick it on and instantly burn fat. You have to be careful when evaluating any company and their marketing claims. 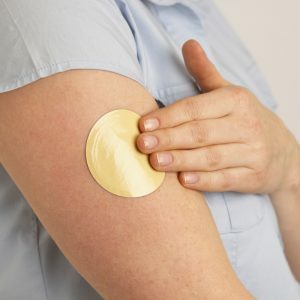 Are weight loss patches effective or even safe? Weight loss products and programs span cities, states, and countries. Diet plans are promoted everywhere you look. Not all of them are hype. Those that aren’t, require additional work on your part. Nothing will help you shed pounds if you’re not acting as your most powerful tool. A comprehensive weight loss plan includes dedication and patience. The first thing to look at is who is offering the weight loss patch. Check to see whether others have tried it and examine the ingredient label. Some diet products in the past have been associated with deadly consequences. Weight loss patches are treated with specific herbs and chemicals. You stick it on and your pores absorb the ingredients. This method is used to successfully treat people addicted to nicotine, require nitroglycerine, and suffering from intense pain. It is an excellent chemical delivery system. Make sure you know what you are feeding your skin. Hoodia is a popular weight loss patch ingredient. Be aware that extremely high doses have caused nausea in some users. Hoodia is believed to suppress your appetite (1). Garcinia is another commonly seen component. It is said to speed up fat oxidation and your overall metabolic rate (2). Extremely high levels can produce side effects such as brain fog, fatigue, and/or headaches. Guarana is often used for its caffeine content in weight loss patch formulas. Since it is a stimulant, it can cause nervousness and anxiety. Studies show it too increases your ability to burn fat and stimulates your metabolism (3). Some believe it increases thermogenesis as well. Berberine can be found in many types of fat burning formulas. It is thought to enhance lipid-lowering actions in your body and assist in weight reduction (4). It can sometimes be included in the form of goldenseal. Many professionals agree that the individual ingredients most commonly included in weight loss patch formulas offer some benefits. This is generally in specific amounts and under certain conditions. You must also remember no two metabolisms are exactly the same. Weight loss patches could assist you in losing weight, but this should be a temporary solution. Once you reach your goal and stop using the patch you will still need to work on your routine and monitor your progress. You may regain a bit of your weight when after you quit the patch. Don’t let this tempt you to start using it again. Most all things to promote health must be complete in cycles with time off. They should also be reevaluated for information pointing toward the most effective path to success. One of the biggest reasons for weight loss setbacks is adherence. It is also the most difficult to overcome because it depends upon personal psychological factors and motivators. Your program must also be well-rounded. A comprehensive weight loss plan should effectively address several aspects simultaneously. One trial demonstrated that three main factors contributed to adherence success or failure. Many participants find more triumph when the program is structured. Supervision and support seem to be strong motivators. While physical aspects are key to weight loss, psychological factors can make or break it (5). A substantial proportion of people do not adhere to weight loss programs. Opportunities accompanied by supervising attendance, offering social support, and focusing on dietary modification have better compliance than those without these structured elements. If you are someone who must punch a clock, you should seek out social and more controlled support resources. Dietary changes alone have been proven to help some people shed unwanted pounds. You don’t have to go overboard. Replace junk with nutrition powered snacks and sides with fresh produce. Eat more skinless boneless meat and less processed. Again, adherence is critical. There are numerous online forums, community resources, and structured programs to reach out to for support. Exercise can reduce your weight by itself as well. You should increase your level of exercise in small increments until you’re where you want to be. All couch potatoes should start walking a couple evenings per week. If you already participate in an exercise program, consider introducing more weight, longer sessions, or a new exercise. It may be time to up your game a bit if you’re a hard trainer whose reached your plateau. 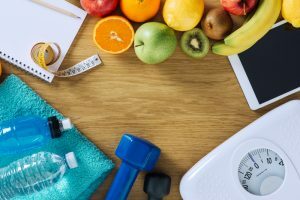 Harvard Medical scientists investigated the effects of dietary intake and physical activity on CBD weight loss results. Each alone carries a significant impact but are especially effective in combination. It also proved that continued adherence is essential for long-term goals. Participants received nutritional education and social support for more than one year (6). It is important to understand that weight management calls for lifestyle changes and lifelong commitments. You can’t drop 15 pounds and go back to your old habits. In most cases. Those pounds will return and bring friends. Your body requires time to adjust homeostasis and your metabolism to new habits. You must also monitor your mental health and reward yourself from time to time. In addition to off days and recovery, you should give your brain a break too. Find something relaxing and fun to incorporate into your weekly routine. It is only possible for weight loss patches to be successful if all the other elements are in place as well.